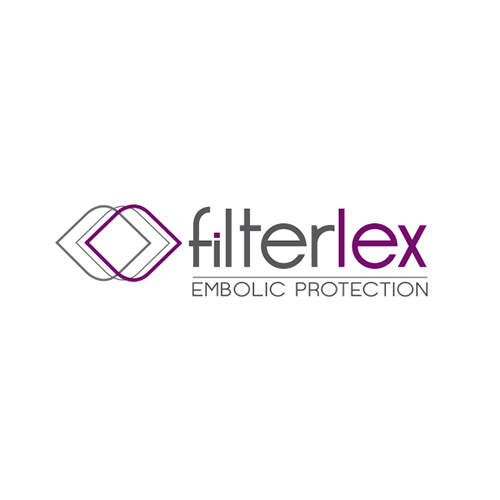 Filterlex Medical Ltd. was founded in June 2015 to develop a novel, full-body embolic protection device to reduce the risk of stroke and related embolic complications during left-heart interventional procedures. The worldwide TAVI market is estimated to surpass $5.5B by 2020. Additional major markets include TMVR (estimated at five times of the TAVI market) and AF Ablation (1.2M procedures annually). The total addressable market for Filterlex is valued at over $5B. During catheter-based, left-heart procedures such as TAVI, embolic particles are often released to the blood ﬂow. Particles migration to the brain may cause a spectrum of neurological defciencies, from cognitive impairment to debilitating stroke. Emboli released to distal organs may result in acute kidney injury and ischemia. The Filterlex device is a next-generation full-body embolic protection device, easily and intuitively deployed and retrieved. The device is securely positioned in the aorta, protects its surface while facilitating a seamless TAVI procedure. Its distinctive, triple action design provides a full-body embolic protection by deﬂecting, capturing and removing embolic particles. Uniquely, it requires no additional arterial access and does not interfere to the procedure workﬂow. Sentinel, overall funding estimate – $41M. FDA clearance 510k De-novo in June 2017, CE since Jan. 2014. TriGuard, overall funding estimate – $25M. FDA, 510K, undergoing IDE trial, CE since Sept. 2013. Entrepreneur, inventor and interventional cardiology imaging expert with extensive experience in TAVI procedures, a former clinical and training specialist at a medical imaging company. Entrepreneur, mechanical engineer and CTO with over 25 years of R&D experience with extensive experience in implantable devices in the cardiovascular feld. Director of Interventional Cardiology at Montefore Medical Center, and faculty of the Cardiovascular Research Foundation in New York, NY.